Could the Nozzle position be more dangerous than 20 or 30 years ago? Why does it seem more firefighters are getting burned and killed with a nozzle in their hands? Did you have an Instructor tell you, no water on smoke? Please Share your Nozzle Position Close Call and/or Death. Don’t Hesitate to share links. Looking for Big Input and Shared Experiences.. Look under Close Calls on Home Page for more Pics and Video of another Close Call here in Northwest Florida.The Nozzle Firefighter was burned while making entry through front door of small house. He was burned from Vent Point Ignition.. Video under Close Calls on Home Page.. Mask starting to fail. Short period of flame contact made it impossible to see through lens. Firefighter burned and transported. Close call of Firefighter assigned to nozzle. How long will your gear protect you? Have you inspected your gear lately? What kind of hood do you wear? What is the rating on your gear? Do you wear your ear flaps pulled down? There was a definitive need for NFPA 1403: that was plainly seen by some of the training events which left you saying that favorite three letter acronym that also works for, Well Trained Firefighters. Training evolutions that were not thought out all the way through no doubt. They were not planned with intent to do bodily harm but had tragic results. But these same departments go to real world fires without killing their Troops. 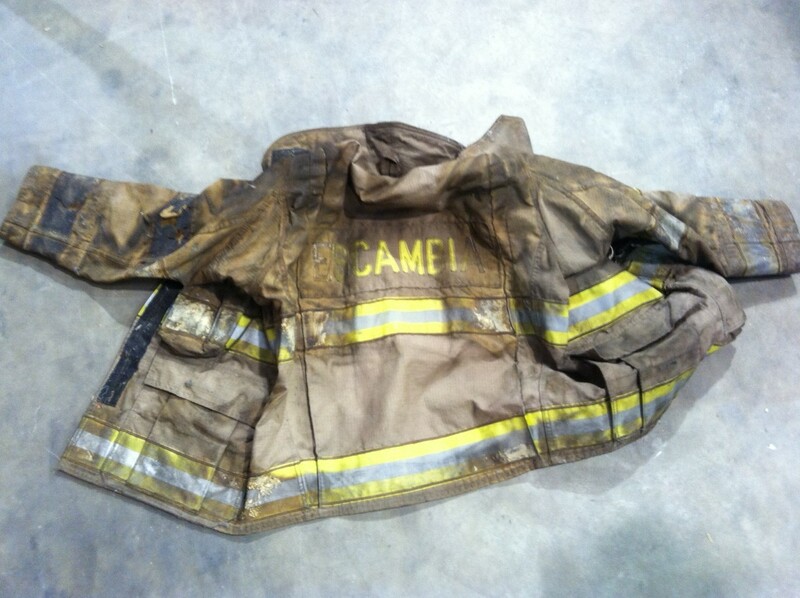 There is often a more lax command and accountability at a live burn event because, “It’s just a training burn”. As if the fire and smoke are training fire cooler or smoke training toxic level. That apathetic attitude will most definitely get someone hurt or worse. So to combat this we have tamed our burns down but our fires in the streets are doing the complete opposite. Basically like training and equipping the Troops to fight in the desert and shipping them to the North Pole to fight and hoping for a good outcome. Today our fire attack is more enhanced than ever before. We have more technical and laboratory information produced than ever before. With all this what we are teaching sometimes does not match our enhancements and the information we have gained. Now it has been awhile since I was on the military training grounds but, even back then we were not taught, go till you feel bullets hitting you and then start shooting. Still we have firefighters that think you need to feel your ears burn so you do not get to deep. But this is a myth because every time you burn your ears and they heal up they lose feeling. So the next time you will be deeper yet, because you are deadening them every time you burn them. The “Don’t shoot till you see the whites of their eyes” has long since went away. But we teach exactly that by saying do not open the nozzle till you see fire. The smoke we are passing through to get to that glow is a bullet just waiting for the right conditions to cap the primer. The intensity which it lights will also light fuel behind us there by causing more problems. Better gear and thermal imaging now enables us to literally fly to the seat of the fire compared to the days of inching forward blindly by brail and feeling that heat at a slower pace. As Newton said “To every action there is always an equal and opposite reaction”. 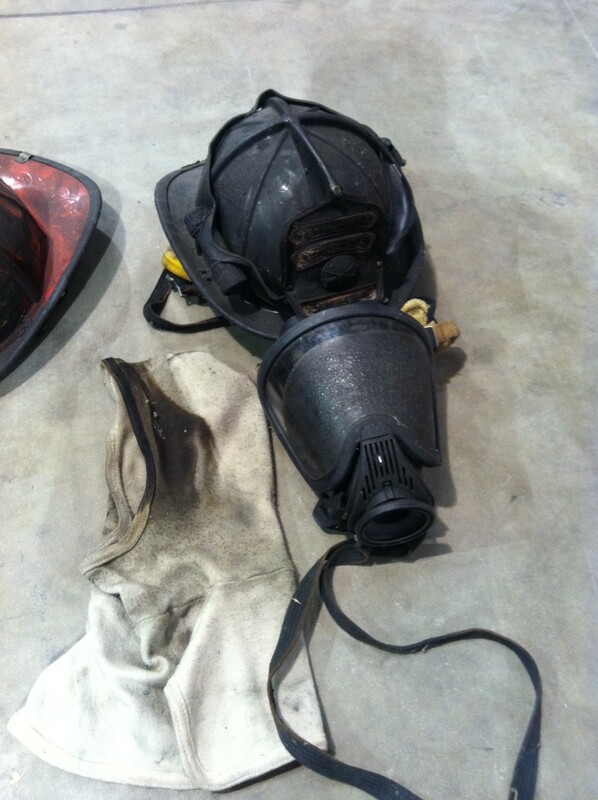 So here is ours, you fly to the seat of the fire and the reaction is it burns your gear off or melts your mask. This is probably not what we are hoping to accomplish. But we routinely drag our underlings in right up to the fire and open up. This works great in a concrete room, with pallets or hay, but not in room full of hydrocarbon based products with a means for the fire to travel. I have not been to too many residential fires where I found a stack of pallets or hay burning in the middle of the living room or bedroom, excluding acquired structures. What I have found is overly stuffed BTU producing rooms that produce extreme fire conditions when the conditions are right. There is a ton of articles with huge amounts of BTU production rates and Heat Rise Rates. All this data is extremely informative and relevant but it boils down to these few things. Attack with as much water as you can be effective with and you have trained with. If you do not train with 2 ½ inch line you are probably not going to have great results pulling 2 ½ on a large volume of fire. Eventually your experience/training might catch up but you will lose a few buildings before you get there and maybe a firefighter or two. I remember reading a report chastising the use of 2 ½ at a residential fire. The reason stated you couldn’t move 2 ½ and be effective. Really, whoever wrote this has not seen some of the firefighters that I have seen move a 2 ½. But I have seen those that cannot advance a 1 ½ either. When our armed forces are faced with a target a little bigger than they want to deal with up close with a small force, they prep the target from a distance. We can do exactly that, it is called reach of stream! The problem evolving from how we are training in burn building is, flowing water while advancing the line is becoming a lost art form instead of a basic skill. Awhile back some of my Mentors where blamed for why bad events where taking place. So I went back and looked at videos of those “horrible guys”. I did not see them going in without water or wading in till they just could not stand it anymore and jerking the bail open and hoping the fire went out. These guys worked in busy houses their whole career and never retired until they went to the house the last time. They fought fire aggressively and they were the solution not the problem. They all went home too, because many are all enjoying retirement. Their mentored firefighters are not killing people off at an alarming rate now either. There is too much “Let’s run in and get some of that” mentality instead of “Let’s push aggressively and get all of it”. Engine companies have to be changing the conditions to better, not just sitting inside and letting conditions simply get worse around them. From the Incident Commanders position, if crews are in the building and conditions are worsening, the I.C. has no choice but to pull the crews out. Put yourself in the I.C boots, they have 2-3 lines capable of 200 G.P.M. each inside a burning structure and conditions are getting worse, you have to wonder. If an Incident Commander or Division officer that can actually see the fire calls me for a progress report at a single family structure, I take that as a clue we are not moving or being effective. The progress of an attacking hose line should be visible from the outside in most structures. So where is the problem? Better gear, Thermal Imagers, radios in every firefighters coat and people are still getting in trouble and the fires are not going out. The problem is one of the smaller pieces of equipment on the fire ground, the nozzle handle. It is not being opened and the line is not being advanced while flowing. Reach of the stream is not being used. We teach sounding the floor with tools during search. Why not teach structural stability with the stream? A 1 ¾ hand line producing 200 G.P.M. is a 1666 pound a minute hammer. Use the stream and look for kill you structure damage when the stream hits. Think past the moment of the fire going out. When things are heated they expand, when cooled the contract. A heavily involved room has a lot of expanding going on that when you apply a sufficient G.P.M. fire stream you should be causing an immediate switch to things cooling and now contracting in an instant. This is not breaking news to you, I am sure, but when we have trained our Firefighters to always be right up and personal with the burning material in the burn building. So in the streets they get in the room before causing the reversal. The fire is producing more BTUs than ever before so bigger flow hand lines are being carried by almost every department so what gives. All that flow is worthless if Firefighters do not react according to the situation they face. But how can you expect a firefighter to operate accordingly during an extreme fire event if they have never seen a extreme fire event or applied water during an extreme event. Now given the faster temperature rise of our hotter fires you certainly cannot expect a good outcome if they are scared to death because they have never felt significant heat beyond their own body heat in gear. Does every live fire training need to be flashover hot, absolutely not. Do we need to put trainees into flashover chambers to operate no, that would get really expensive in gear and S.C.B.A. But a firefighter’s first encounter with Walmart heat should not be at a Walmart fire. It should be in a controlled environment. A Walmart fire is not referring to a fire in a Walmart store. This is a fire that makes you question why you did not go to work at Walmart instead of the hot, black nasty one; I think we may die environment you are currently in. Firefighters need to be trained in this environment enough to know that they can survive. How bad would the U.S. Navy Seals performance be if they trained at the neighborhood heated pool? Long durations are not needed either. A little goes a long ways because when you encounter that heat you basically have 3 options. Flow water, ventilate if not already done, get out, or combination of the three. Trainees need that seasoned Instructor to say, “Okay when it feels like this, here are your options and if you do not exercise one of these, it will get much worse.” Will trainees get their needed experience at the Academy, no but they should be well trained enough that the Company Officer does not have to tackle them or kneel on them to maintain crew integrity. No one is going to the fires they used, not exactly breaking news. So where is the experience going to come, realistic training not make believe almost like a fire training. Many will scream where the safety is if we burn hot. Where is the ability to keep the trainee safe from crawling into the fire and just burning their untrained selves up? Does your FD perform interior operations at Commercial Structure Fires?